Please join Family Office Insights for this luncheon on Wednesday, April 18th at 12PM. If you care to join us, please email: admin@familyofficeinsights.com. 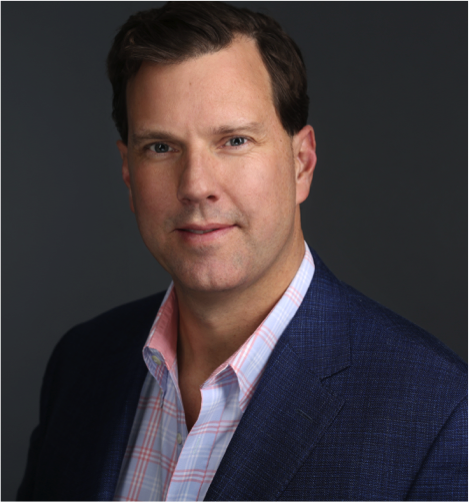 Family Office Insights sits down with George Allen, President of Acreage Holdings, to discuss one of the largest and broadest portfolios of any company in the American cannabis industry with operations that include a mix of cultivation and production facilities, dispensaries, and vertically integrated cannabis companies across 11 states with plans to expand into a handful of new territories. Acreage Holdings is raising $50 million in Preferred Series E membership units in order to consolidate the ownership position in a few of our underlying assets, finance capital expenditures within the portfolio and to expand into new markets. The 11 states Acreage currently operates in are expected to generate over $9 billion in revenue by 2020. BREAKING NEWS: Former Speaker of the House John Boehner and Former Governor of Massachusetts Bill Weld Join Leading Cannabis Company Acreage Holdings. Tell us about your background and your company, Acreage Holdings. My career is a combination of working in the financial services industries, from making financial investments at Goldman Sachs, tech investing at Warburg Pincus, principal investing in Hong Kong, and creating publicly traded investment vehicles behind TaxAct. From 2011-2014, I managed corporate development at Blucora, back when it was a small Internet search engine. We acquired TaxAct and doubled profitability over the course of two years growing it into the second largest software in tax behind TurboTax, and built that business up in order to take it public. We owned other financial services software that we rolled up into one holding company, in order to maximize its value. I ran into Acreage Holdings about 2 years ago when Kevin Murphy, the Founder and CEO, was looking for funds. Acreage Holdings has the broadest portfolio of cannabis assets in the US. Kevin is a high net worth individual living in NYC and the founder of the private equity group, Stanfield Capital Partners, a $30-billion alternative money management firm. In 2011, he entered into the cannabis space serving on the Board of Directors of the Wellness and Pain Management Connection, Prime Alternative Treatment Centers, Prime Consulting Group, Compass Ventures, Nature’s Care Company, and Prime Wellness of Pennsylvania. He is not the typical cannabis user; he is an accomplished executive and former professional football player. Kevin approached me to invest early on. At that time, I was running Cambridge Information Group, where I managed a portfolio of private and public direct investments as well as a collection of indirect investments and founded an internally managed hedge fund focused on global growth equities. In 2016, I took a hard look at Acreage Holdings and loved the fundamentals of the business and how it’s a protected market in the US, from a capital perspective. I advised Kevin early on; I didn’t feel that he had the infrastructure, machinery, or team behind him to accomplish to the fullest levels of his visions; I found a gap in his precision. I had 3 goals for positioning Acreage Holdings to be prepared for scale: professionalize the business by bringing on a professional team; roll-up the underlying affiliates under one holding company; and prepare the company to ultimately go public and become the dominant player in the industry. We completed the roll-up of the affiliates in the 6 months I’ve been here. I brought on 25 employees with great credentials, and have in place an immediate plan preparing for a fundamental event next week before our Family Office Insights luncheon. We have the best team and a strategic vision for how to grow this. This business is not just about execution, but also majorly about political connectivity. We recently added the Former Speaker of the House, John Boehner, and a former Vice Presidential nominee, Bill Weld, to our our Advisory Board. Our experienced team includes our CFO, Glen Leibowitz, the former controller at the Apollo Group who took the company public for $5-billion, and a legal team that has extensive experience in the cannabis space. With our story, team, portfolio, and Board of Directors, we aren’t leaving any uncertainty from an investor and participant prospective, so as to be a major player in this space. Who is the target audience for Acreage Holdings? We are vertically integrated in most states—we grow it, process it and sell it. We are building the business today that takes the money out of the hands of the drug cartels and deploys capital directly in each of our states in order to grow, process, and sell it. To grow cannabis, you need a combination of capital and equipment, which is a large footprint for indoor facilities, as well as the intellectual property in the form of genetics. This can cost anywhere from $5-15 million to build. Currently, half of the product in the US is sold as a raw-flower cannabis bud. Cannabis can be consumed in raw flower, but that’s a declining % of total sales as new additions to the market typically favor “derivative products” like edibles, creams and vape pen oils. Processing cannabis is a highly skilled, intensive process that is necessary to create consistent products. To make a product that’s consistent, reliable, safe, and effective is how one differentiates itself. The retail experience has also gone through a lot of changes. If you go to a dispensary in Colorado, you have to walk through a very unfriendly experience. That is all quickly evolving into a customer centric experience. We focus on high-end retail design and customer experience, with in-store resources to consult and educate in both the adult-use and medical markets. We view this industry from the approach that there are equally vital subsets of people who use cannabis recreationally, and those who use it to medicate. 20% of Americans, surveyed by the American Legion, use cannabis to treat chronic pain and PTSD. When 20% of veterans do this, each of them put their VA benefits at risk. This is a community self-declaring that there’s a medical benefit to cannabis to treat anxiety and pain, not simply to get stoned. They want a consistent experience that’s reliable for a long period of time. This is where the industry is really evolving and that’s where we’re taking and running with it. This is a fast growing industry with no manuals or guidelines on how to go about things. People in this industry have important knowledge, but they don’t necessarily have the professional knowledge and corporate pedigree that you traditionally need around a large accountable organization. The good news is that the amount of people who are considering cannabis for the first time is at an all-time high. It has something to do with the economic cycle and the acceptability of it—95% of Americans believe that it should be medically available. The entire industry is also traditionally painted with the same brush. Even though I seek to be the most professional in the industry, I am going to be grouped with the lowest common denominator, which is a perpetual fear that everyone involved lives with all the time. Capital is another challenge – but this is a good thing for investors. Institutional investors have been prohibited from participating in the industry before this point. If this were not the case, we would be competing against big alcohol or tobacco for deals. There are protective barriers and only few licenses to be handed out within each state. Big companies are scared away of the regulatory risk with the “there’s no way our Board would allow anything in that space” mindset. We have a bigger footprint than most. We also have a clean and shapeable start. Unlike others, we aren’t hampered by old management teams with jaded perspectives and goals. We have a strategy, a commitment to that winning strategy, political access, success in communicating with regulators at state and municipal levels, and we understand the retail experience better than anybody. We are changing the landscape by categorically changing the political discussion. We are going to accelerate de-scheduling of cannabis. Investors tend to invest in one state license. It’s usually a group of people who put money together to get a license to build a franchise and dispensary. In reality, the economies of scale that come with multi stage footprints will become very apparent that will drive a lot of these subscale operators. You won’t see a single operator in a single space. You have to play your cards at the right time. We’re building a real business with long term strategy that will relate brands to the consumer experience aside of M&A transaction, which is novel in this industry. We are looking to raise $50M. Our first close is April 30th and the second close will be in mid-May. We are looking for a minimum investment of $500K with possibility to oversubscribe. We want investors that understand that we will be taking this company public in Canada within the next 12 months. Our ideal investors, in their very nature, have seen or have experienced the transformative capacity of healing and how that makes the world a better place. If you don’t have direct or indirect experience of cannabis, it’s potentially a hard thing to invest in. You have to believe that 25% of cancer patients who are using cannabis are doing so for the right reasons despite the fact that they have to pay for it themselves. We like investors that have been touched by it, understand it, and participate in it, rather than, those who care about the timing of the exit and when flipping it is the right time. We believe in the healing and transformative power of cannabis, and we want to make that a safe and reliable experience for as many Americans as possible. We are bringing on more operational people to the team, adding new states and capabilities, and performing incremental acquisitions. This is a constant march forward in bringing talent and expanding the scope of the industry. 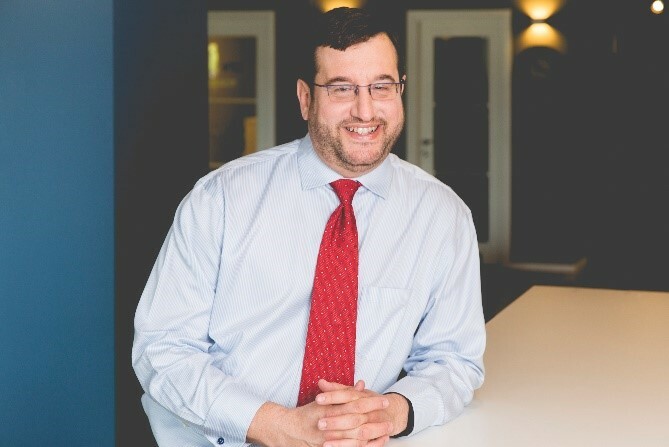 Mr. Allen, a seasoned executive with extensive financing and transaction experience, was previously Chief Investment Officer of Cambridge Information Group (CIG), where he managed a portfolio of private and public direct investments as well as a collection of indirect investments and founded an internally managed hedge fund focused on global growth equities. Previously, Mr. Allen managed corporate development at Blucora, guiding the company as it transformed into a successful public leader in its vertical. Prior to Blucora, Mr. Allen managed investments at Warburg Pincus and Goldman Sachs. If you have any questions, please contact George at g.allen@acreageholdings.com.